If you are planning to fly to Italy, you have quite a few airports to choose between. In total there are around 20 airports handling more than 1 mio passenger a year and about 20 smaller airport handling less than 1 mio passengers a year. 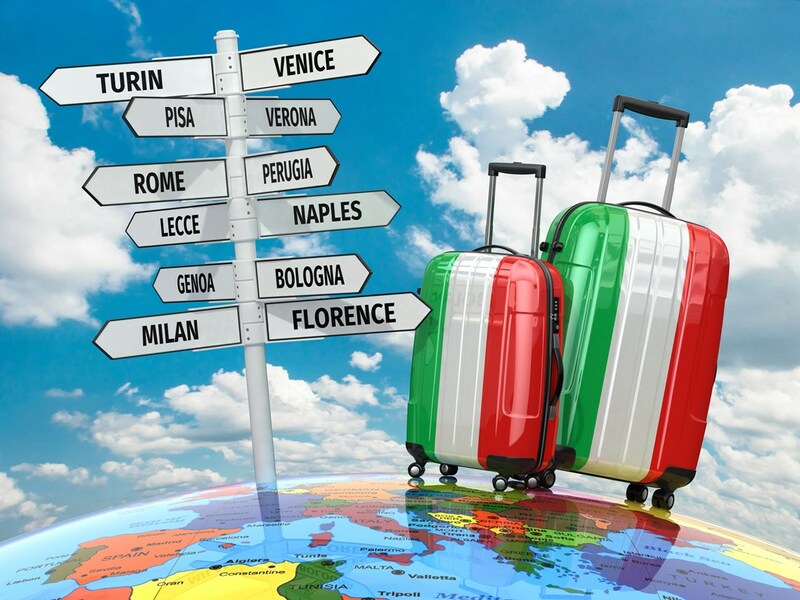 Below you can find information about each of the airports and as you see further down in the text, we have also made a map where you can easily locate all the airports in Italy. MAP is located at the end of this post. The Leonardo da Vinci Airport by Rome is the largest airport in Italy and the main hub for Italy’s largest airplane company Alitalia. The airport is located west of Rome near the Mediterranean coast by the city Fiumicino. Getting from da Vinci airport to the centre of Rome is fast and easy. As an alternative to flying to da Vinci airport, the Rome Ciampino Airport can be used. If you travel to anywhere in the Lazio, Umbria or Abruzzo region one of those two Rome airports might be the best choice due to the larger amount of international connections. The main airport in the Milan region is the Malpensa airport which is located northwest of the city. From the airport it is easy to access the city centre and other smaller towns near the airport. As an alternative to Malpensa, the Milan Linate airport or the Bergamo airport can be used. Milan Malpensa is the closest airport to cities like Como, Varese or Navara and it could also be the best travel option when going to Lugano or some of the popular ski resorts in Italy and Switzerland. The Linate airport is located south of Milan and from this airport it is easy to reach the city centre of Milan. 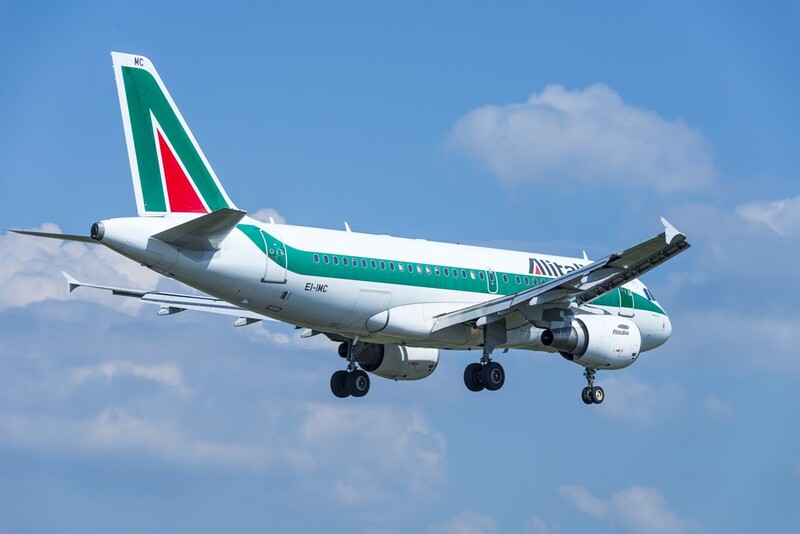 If you are travelling to Monza to watch formula 1 race or towns like Pavia, Piacenza, Cremona or smaller towns south of Milan, the Linate is the optimal airport to fly to. Another really busy airport in Lombardy is the Bergamo airport which is located in Orio al Serio, south of the city center near the A4 highway. The airport is well connected with the city center which can be reached in less than 30 minutes. The Bergamo airport could also be used when travelling to Milan; the airport is 50 km east of the town. Also when travelling to Brescia, the Lake Garda or skiing resorts in the north eastern part of Italy the Bergamo airport is a suitable option. When travelling to Venice, the Marco Polo airport, which is located a bit north of the town, is the first priority. From the airport it takes only about 30 minutes to reach Venice. Flying to Venice airport is also recommendable when travelling to Padua, Vicenza and towns on the Adriatic coast like Lido di Jesolo or Chioggia. As an alternative to Venice airport the Treviso airport can be used. The Catania Fontanarossa Airport is the main airport on the island of Sicily. The airport is located in Fontanarossa which is just south of Catania; getting from the airport to the centre of Catania takes about 20-30 minutes. Catania airport is the optimal airport when travelling to cities like Messina, Syracuse, Caltanissetta and other towns on the eastern part of the island. For cities in the western part of the island, Trapani and Palermo airport are closer. The Bologna Guglielmo Marconi airport is located a few km northwest of Bologna. From the airport it takes about 30 minutes to get to the centre of town and from the airport there are good connections to Modena, Ravenna, Florence, Ferrara, Modena and Rimini. Airport Bologna is also the closest airport to the famous Imola Formula 1 track and the Ferrari Museum and factory. The airport in Naples is the largest airport on the southern part of mainland Italy. The airport is located a few km north of the city center and from the airport it takes less than 30 min to get to the city center. From airport Naples it is easy to travel to Avellino, Salerno, Caserta and other cities nearby; the airport also has a service to the ferry port. The Falcone–Borsellino Airport is located in a small town called Cinisi which is about 30 km west of Palermo center. From the airport it takes about 45 minutes to get to the city center. The E90 highway can be accessed by the airport, making it easy to reach cities like Alcamo, Mazara del Vallo and other towns in the eastern part of Sicily. Also called: Karol Wojtyła Airport or Palese Airport. Nearby cities: Barletta, Andria, Polignano a Mare, Monopoli, Foggia. To Bari city from Airport: Train 18 min, or shuttle bus 25-30 min. Also called: Elmas Airport or Mario Mameli Airport. Nearby cities: All cities in the southern part of Island Sardinia, alternative airports on the island Alghero or Olbia. To Cagliari city from airport: Train 10 Min. Also called: Turin-Caselle Airport or Sandro Pertini Airport. Nearby cities: Rivoli, Pinerolo and other towns in northwestern part of Italy. To Turin city from Airport: bus .45-50 min, train 45 min (change necessary). Also called: Villafranca Airport or Valerio Catullo Airport. Nearby cities: Nearest airport to Lake Garda and cities like Vicenza, Legnago and Trento. To Verona city from Airport: Shuttle bus 15 min. Nearby cities: Cosenza, Catanzaro, Crotone and other sites in the south western part of mainland Italy. To Lamezia Terme city from Airport: Shuttle bus 30 min. Also called: Amerigo Vespucci Airport. Nearby cities: Arezzo, Siena, Prato and other cities in mainland Tuscany. To Florence city from Airport: Shuttle bus 20 min. Also called: Sant’Angelo Airport or Venice-Treviso (main airport to Venice is Marco Polo). Nearby cities: Venice, Padua, Vicenza and cities in north eastern part of Italy. Also called: Salento Airport or Brindisi Papola Casale Airport. Nearby cities: Lecce, Taranto, Otranto, Leuca and Gallipoli. Also called: Costa Smeralda Airport. Nearby cities: Cities in the northwestern part of island Sardinia. Also called: Riviera del Corallo Airport or Alghero-Fertilia Airport. Nearby cities: Cities in the northeastern part of island Sardinia. Also called: Vincenzo Florio Airport Trapani–Birgi. Nearby cities: Cities in the western part of island Sicily like e.g Marsala, Mazara Del Vallo. To Trapani city from Airport: Public bus 30 min. Also called: Cristoforo Colombo Airport. Nearby cities: Rapello, Savona, Albenga, Imperia, Sanremo . To Genoa city from Airport: Public bus 30 min. Also called: Friuli Venezia Giulia Airport or Ronchi dei Legionari Airport. Nearby cities: Monfalcone, Udine, Gorizia, Palmanova . To Trieste city from Airport: Public bus 1 hour. Also called: Abruzzo Airport . Nearby cities: San Benedetto del Tronto, Termoli, Vasto . To Pescara city from Airport: Public bus 30 min. Also called: Aeroporto dello Stretto. To Reggio Calabria city from Airport: Public bus 30 min or by train station is 1 km from airport, has free shuttle. Also called: Marche Airport or Ancona Falconara Airport. Nearby cities: Civitanova Marche, Senigallia, Loreto, Porto San Giorgio . To Ancona city from Airport: Shuttle bus 30 min or Train from Castelferretti railway station 20 min..
Also called: Federico Fellini Int. Airport or Rimini Miramare Airport. Nearby cities: Fano, Pesaro, Cattolica, Bellaria, Cesenatico, Cesena . To Rimini city from Airport: Public bus 30 min. Also called: Cuneo Levaldigi Airport or Turin Cuneo Airport. Nearby cities: Mondovi, Bra, Alba, Borgo San Dalmazzo . To Cuneo city from Airport: #N/A. Also called: San Francesco d’Assisi or Umbria Int. Airport. Nearby cities: Foligno, Citta di Castello, Spoleto. To Perugia city from Airport: Public bus 30 min. Also called: Giuseppe Verdi Airport. Nearby cities: Reggio Emilia, Fidenza, Piacenza, Modena. To Parma city from Airport: Public bus 30 min.